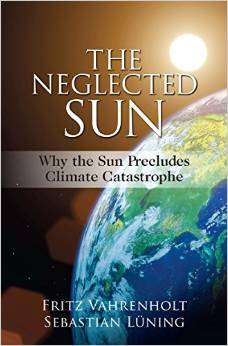 A reader recently left a comment saying he had been having difficulty getting a copy of “The Neglected Sun“, the best-selling non-alarmist climate science book showing how man-made climate change is nowhere near as serious as the IPCC wants us to believe it is. Good news! The Die kalte Sonne site here reports that The Neglected Sun, the English version, which sold out a few months ago, will once again be printed and available from the Chicago-based powerhouse think-tank The Heartland Institute, who have purchased the rights to the book. 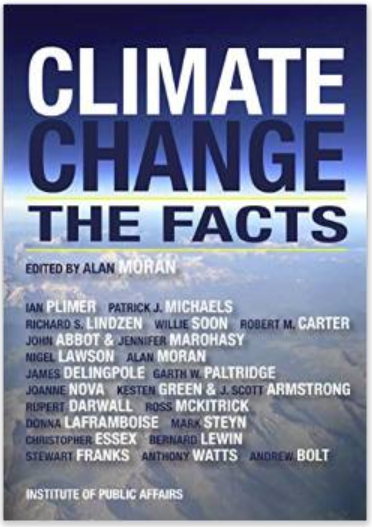 It is now available at Amazon here, or at the Heartland Institute online shop for US$ 19.99. The Kindle version is available at Amazon for US$ 11.11. Shipping begins July 1, 2015. The book was also translated in Polish and has been available since October 2014. According to authors Dr. Sebastian Lüning and Prof. Fritz Vahrenholt, the book is up-to-date, cites hundreds of peer-reviewed literature and explains in easy terms why the CO2 climate sensitivity has been totally overblown and how the sun and oceans are the primary climate drivers. The two authors also point to the latest UK Met Office report which shows we may be heading into a new cold phase due to low solar activity. He would struggle with Dr Seuss. give it a few years the BBC will be reporting that a new global LIA was predicted all along. OT, but all one can do is laugh ! these are typical technical problems of a new technology. This is the kind of things, that keep prices high. This will be solved, driving prices massively down. Most of the comments on that Scottish page are straight to the point and very accurate. Did you even read them first, bozo ? Most of those comments are from people who have no clue and who have invested zero time into research on the subject. Agora has a nice graph about wind power in Europe 2030. There is no zero wind in Europe. They have wind data for 2030 do they..
GET A BRAIN, S.O.B. !!! And again I’ll ask the same question you REFUSED to answer before. What percentage of nameplate can these wind turbine GUARANTEE to deliver 95% of the time.? In April, for the whole of the UK, it was just less than 3% !!!! That is NOT an alternative electricity supply. So, answer the question if you dare !! That question is garbage, you can not answer the same question for a nuclear power plant either. We all know, that there are times with little wind. But your argument is weaker than the weakest wind of the year. So. did the lights go out in the UK in april? Most pathetic dodge I’ve seen in quite some time. Only by the grace of a few responsible adults not hell-bent on destroying the UK electric power infrastructure in a ridiculous attempt to “save the Planet” did they not. The question is badly skewed. Nobody expects a single turbine to guarantee an output, nor over (part) of a single country. If you do real research and look at real numbers over a huge region like europe, the situation will change. Those times with zero wind will basically vanish. And so do times with over 60% capacity. instead you get a pretty constant output of between 10% and 35% of capacity. Probably, and 35% annual capacity is stretching the limit. But name a nuclear or coal electricity concern operating over the past 20 years from today that did not achieve an 85% annual capacity. Pathetic isn’t anywhere near a strong enough word, P.
He knows he dare not ANSWER THE QUESTION !!! You haven’t enough got enough guts to blow out a candle have you, you poor S.O.B. !!! Just like wind energy. TOTALLY UNABLE to guarantee supply. A worthless, pathetic, meaningless form of electricity that is, at best, a burden on the rest of the REAL electricity supply system. 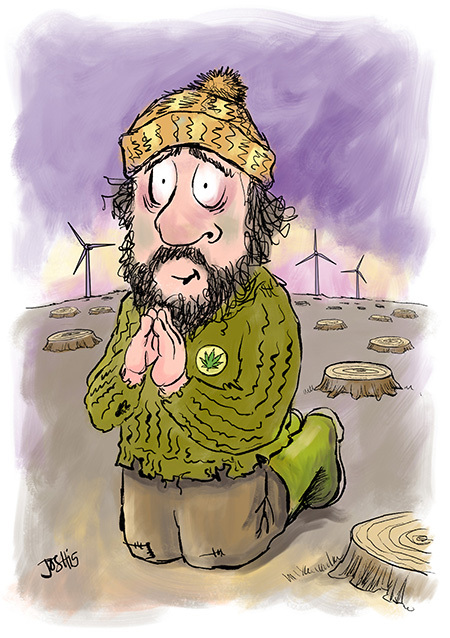 Poor Scotland, again being used as the refuse dump for UK wind turbines. Legislation and having to throttle back because of renewable feed in targets has probably pushed quite a few below 85% capacity. Thus greatly increasing the CO2 per unit electricity delivered. There was a Denmark study where coal fired power station that was trying to work with a local wind farm actually measured INCREASED CO2 output because it was having to ramp up and down. The whole wind turbine thing is counter-productive, a blight on the landscape. Peak renewable will arrive the pay the moronic subsidies and feed -in rules are abolished. At that point, the whole lot go into the scrap bin of over the next decade or so. Apart form scheduled reload and maintenance, coal and nuclear can AND HAVE delivered around 85% -95% of nameplate 24/7/365.25. That consistency and reliability is what has built countries to 1st world standards. Compare that to a lowly 3% reliability of nameplate from wind in April. Yes, anyone can see that wind turbines are a PATHETICALLY UNRELIABLE source of electricity. I made a mistake. I meant to include “forcible” reduction of coal or nuclear capacity. Children and the feeble minded really ought not to be operating or dictating operation of coal or nuclear concerns. I only now notice this. sod proposes to build huge extraneous transmission capacity ALL OVER EUROPE with a MULTIPLE of actual usage EVERYWHERE because that is required to distribute the enormous LOCAL power spikes that can happen ANYWHERE. Now I understand sod’s plan. He has shares of cable builders. Nice plan, sod! EUROPE IS BROKE!!! Good Luck AGAIN!!!! Please give links if you make claims like that one! There are thousands of false claims about wind and coal in Denmark, the majority of those have been debunked over and over again. Some reading for you, S.O.B. Why is the Danish wind industry going to the time, trouble and enormous expense of buying up whole villages and flattening them? you dismiss my sources and then answer with a blog named “stopthesethings”???? sorry, but that it insane. I will answer more points on the Bill Gates topic, as this discussion is off-topic here. You are insane to think Huff and puff produces anything meaningful. See the link, skip it.. Its a joke like all the other propaganda PAP that you post to. You know, like that advertising blurb from Agora. Next you will be linking to soap commercials or something. ! The Neglected Sun English version on Kindle appears to be available for Australian readers here. Price $12.93 Aussie which is a little less than US$10. It also comes up on my Kindle if I search the Kindle Store, and it offers me one click to buy it. I haven’t tried buying it though. OT, but a brilliant cartoon from Josh.. I don’t think you are wrong, and I am not sure that the sign of the influence of “CO2” can be distinguished by measurement. Es ist eines der besten Bücher über die Bedeutung der Solarstrahlungs Einfluss auf das Klima zur Verfügung!